For digital skills@home and in school! 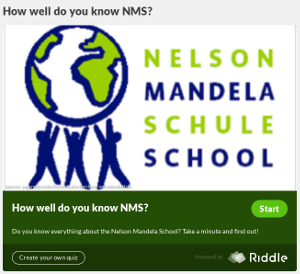 The Nelson Mandela School Cool Tools are collected, shared and written by NMS teacher and Head of IT Annemieke Akkermans. Her favourite cool tools for educators are interactive, promote engaged learning, are free of charge and don’t require the creation of an account. 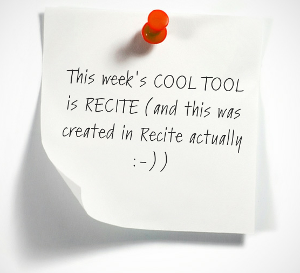 Check out the latest Cool Tool! An unlikely Cool Tool this time, but certainly worth sharing, especially for the German speakers among us. My colleagues at the Medienbildung department from the LISUM have worked hard to improve the content pages of the Bildungsserver. Teachers, students and parents, interested in German resources for media literacy - please check out this link to the materials for the Basiscurriculum Medienbildung. Another mobile app, this one being available both on the AppStore and on Google Play for Android, so teachers (and anyone :)) with tablets; eat your heart out! With Toontastic students can draw, animate and narrate their own cartoons. The app won a Parents’ Choice Gold Award ("Toontastic 3D is a wonderful creative outlet for all budding storytellers, young scientists, or those who increasingly blur the lines between the two - perhaps this is where the next documentary makers and Pixar artists will get their start.”) and is rated highly with 5 stars by Common Sense Media. In language lessons Toontastic can be used to retell a story or to tell an original tale, in Social Sciences or other subjects the app can be used to present a specific topic and in Art the possibilities are unlimited… or just get going at home and enjoy; learning is bound to happen when using this app! Video editing has become easier in recent years, with free and userfriendly tools such as Moviemaker and iMovie or even the wonderful Magisto app, which automatically puts your videos together, including music and some funky effects. Especially great for homevideos, but what if you want to join the major league? Then it makes sense to opt for a solution like Avid – which now comes to your doorstep (or rather your inbox) free of charge! Try Avid’s Media Composer and make your Hollywood (or Babelsberg) dreams come true. 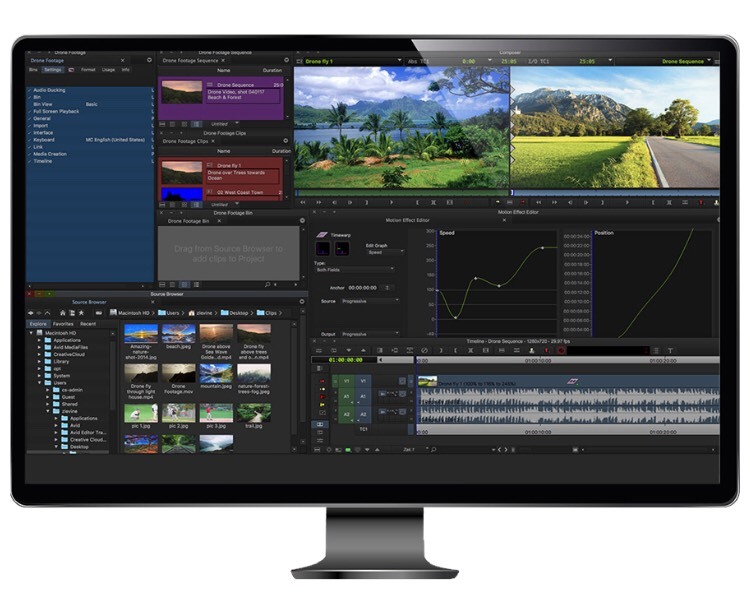 Even though the most top-notch options may have to be paid for, you can get started today with the best editing software used to produce award-winning feature films and series. An increasing number of students worldwide work with digital portfolios to capture their learning. 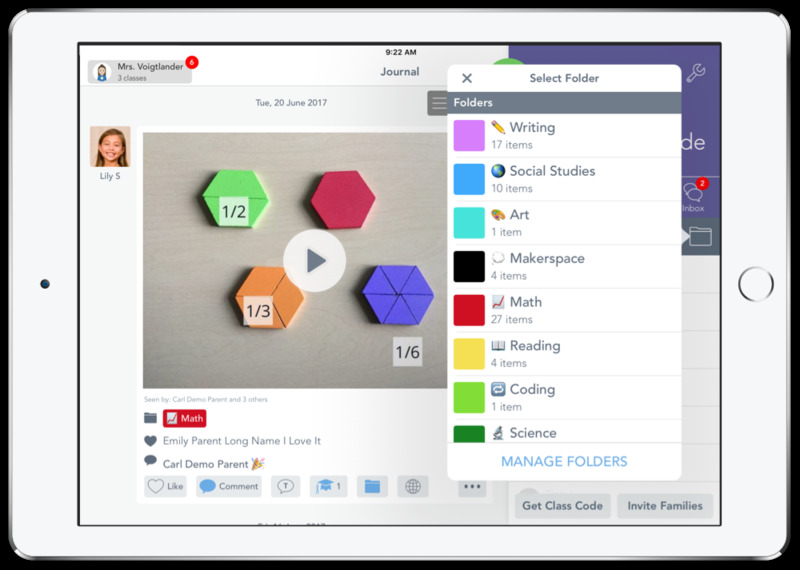 Seesaw is a tool (web-based and app) that makes the process of capturing and sharing student work a great deal easier. The basic functions are free for teachers - and Seesaw promises that this will always remain the case. Within 10 minutes an account is made and your digital classroom created. Better use first names only or even nicknames, in order to protect your students’ privacy. You post your first activity and the students get going, using classroom tablets or their own devices. There is a growing Activity Library that you can use as well, it contains some great ideas! Students can “show what they know” using photos, videos, drawings, text, PDFs, and links. They can for instance take a picture from their journal and use the microphone to record their voice-over. You can also import directly from most popular apps like Google Apps. There is no need for students to use an email address, as the sign in can be done by scanning a QR code or by typing in a text code that is generated for the class. Another cool tool therefore! Powerpoint, Prezi – with the MSA-exams coming up, why not check out other presentation tools? Perhaps My Simple Show isn’t the best format for the MSA, as you’ll get to do all the talking beforehand – still, this tool allows you to create excellent audio and video explainers for free. Want to write a biography or visualise what happens to H2O when it is freezing cold? Write a short script, add the images and then add your voice-over. Back to school and no time to create all your teaching materials from scratch? Teachers, browse through this free collection of short texts, news articles and poems, and get the questions for your students thrown in. Great resource, rather US-focused, yet containing plenty of generic texts. Assign text-dependent questions to hold students accountable for high-level reading and writing. Analyze student performance and compare class reports on key reading and writing skills. Suggested class-level per text.100% free for teachers and students. What’s not to like? Kahoot is a free tool that allows you to create a fun learning game in only a few minutes, using a simple system of multiple choice. You may want to add images or video to your questions to increase the engagement of your students. Kahoots are best played in a group setting, for instance in one of the computer rooms at school. When you allow your students to use their devices in the classroom, players can answer on their own devices, while games are displayed via beamer or interactive whiteboard. As we all know by now, creation and collaboration deepen understanding, so instead of the usual written test, why not encourage your older students to create and share their own Kahoots at the end of a learning unit. As all really cool tools, this one is free as well. Keeping track of the news and choosing from several languages (such as English, Spanish, French, German or Russian) to watch it in, is what Euronews gives you. Useful for NMS’s international community, but also subjects like social studies or for teachers who want to include current affairs in their language lessons; a meta-language lesson in which the same article in different languages is compared, or a multi-language project on a particular topic, using the Euronews archives? 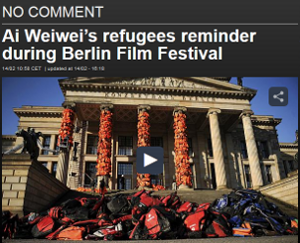 A popular feature is the ‘No Comment’ section (http://www.euronews.com/nocomment), in which current affairs are shown only in pictures, without comment – this could be a powerful lead for essay writing, history, art or geography, blogging, debating or using the images on an audio track by students. Needless to say that teacher’s pre-viewing is a good idea. Euronews has its head offices in Lyon and is a cooperation between a range of European public broadcasters. The Cool Tool of the month is Riddle, because it is free, fun and effective. Quiz-maker Riddle convinces from the moment you enter their website. Boom – straight to the very easy sign-up process: no need to confirm your email address, just get going immediately. Whether you want to create an opinion poll, pop quiz or list – you are just one button-click away. Teachers can create quizzes, share the link and ask students to submit their choices online or take the quiz together in the classroom. What better way to convince you to try this new Cool Tool than by whipping up a quick quiz? In less than 15 minutes a short NMS quiz was created on Riddle, including some images. Try it out below or at http://www.riddle.com/a/24233 and see how easy it is to create quizzes for your students or to share on your (class) blog or website. Fonts, visuals, colours – all easily adjustable. Videos can be embedded directly via YouTube (or TeacherTube! ), photos selected straight from the web or your computer. Riddle is completely free for individual users. Go quizzing! The more information we are bombarded with, the more tools we need to separate the useful stuff from the timewasters. This is one of the reasons that digital information has become increasingly visual – less text, more images. Infographs offer a great way to package the data you’d like to share, for instance in class. For students this is a good way to improve those posters and presentations. 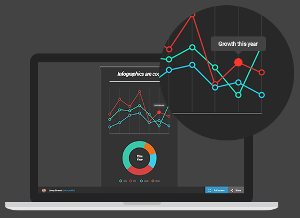 An earlier Cool Tool is Piktochart. I used Piktochart for instance to create the infographs on the topic of NMS students’ use of videogames, taking the info straight from SurveyMonkey. My very first and absolute favourite Cool Tool was Storybird, a free online site where you can create your own illustrated online story. Great for young kids, with especially the 'long book' feature being very popular with older students, as you can write more. Flipsnack also allows you to write a free interactive mini-book of up to 15 pages, by uploading a PDF. There is a German version of the Flipsnack tool, but that seems to have been generated by some mad translating tool, so stick to the English version! Don't think Facebook is any good for learning in the classroom? 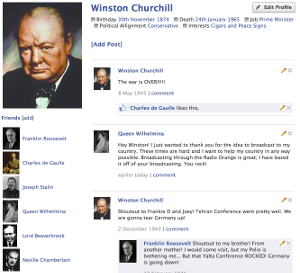 Try Fakebook and create a social media page (like Facebook) for any kind of historic or literary figure. How many 'friends' would Shakespeare have? Would Napoleon be a bit of a cyberbully? The coolest feature perhaps is that other students (in their fictional role) can post on anyone's Fakebook wall. Would Cleopatra block Caesar? Fakebook is only one of the cool tools to be found on www.classtools.net. The resources are free, but when you want to get rid of the ads, you have to upgrade to the premium version. 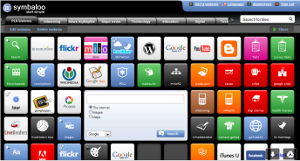 I love Symbaloo! Not only because it seems to be a Dutch design :-) Use Symbaloo as your home screen or homepage and collect all your favourite apps and tools in one useful page. One click will take you to the app you need, where and when you need it. More monster icons can be found in www.ClassDojo.com and www.TeachYourMonstertoRead.com. Type in any quote or bit of text and Recite will show it against different backgrounds and various lay-outs for you to choose from, like the one you see here, which took about 20 seconds to create and save. It is just a really quick and cool tool when you are looking for a simple solution to visualise an impressive quote. And sure, you can also use it to write your shopping list, if you like…. Save the image and use it in other applications like pPwerpoint, your blog or video editing software. Some of our colleagues have no interactive whiteboard to their disposal – so why not invite your students (or overseas colleagues for that matter) to work online with you – using Twiddla as an online interactive whiteboard. The students access the link you share on their mobile devices. It allows all collaborators to mark up websites, graphics, and photos – but what I like best is the brainstorming function – the interactive, online exchange of thoughts and ideas. You can pull in images and websites to look at and annotate together without any plug-ins, downloads or firewall voodoo, as the makers call it. In other words, no need to create an account; just get going and share the link with anyone you’d like to work/play with. I also like how they call Twiddla ‘browser-agnostic’, so whether you are a Mac-fan, Windows adept or Linux lover, go ahead and start twiddling in the Twiddla ‘sandbox’ here‘! Thanks to my colleague Jonas Pews, I spent a beautiful sunny morning coding music on my computer. Yet, it was so much fun… Whether you teach music, computing or simply wish to open your mind (or those of your students) Sonic Pi is a great free coding programme that allows you to code live music. You immediately see and hear what you created. The Sonic Pi people claim you could even go on stage and gig live with it. Well… let’s tackle that stage when we get there :-). For us humble beginners Sonic Pi (which can be downloaded for Raspberry Pi, Mac OS X and Windows here) is a cool tool that allows us to play around with sounds and manipulate them into a piece of music, either techno or classical. The interface is beautifully simple and the step-by-step tutorial super user friendly. As the makers say: remember, there are no mistakes, only opportunities! May 9th 2015 was Scratch Day, a global network of events that celebrates Scratch — and the young people who code and create with it. During Scratch Day, kids and adults gather to share projects and learn from one another. Why don't you try out Scratch and create your own game, with your family or friends — it is now fully web-based, suitable for people aged 9 to 99 (and up!) and still free. There is also Scratch Junior for lower Primary, but that one is only available for iPad so far (great for playing around and picking up some of the coding basics using the touch functions). More info can be found under http://day.scratch.mit.edu/. Have fun! Earlier in the year I described Jing, a golden oldie screen-grab tool that nowadays also has a video function. It is certainly very useful, but limited in terms of audio quality and recording length. Then I discovered screencast-o-matic – the screen recording software that is so much better than its name implies :-). Perfect for tutorials, screencast-o-matic is easy to use and offer up to 15 minutes of recording time; simple one-click screen capture recording on Windows or Mac computers – installation is not even required. Just click this button in order to start recording whatever it is on your screen you would like to share and comment on. You may need to download and install Screencast-o-matic to run the application on Windows or iOS (OSX 10.6 or later). A very brief tutorial can be seen here: http://www.screencast-o-matic.com/u/h/start-recording. The software is free, alternatively you may want to spend 15 dollars on a pro-account, which offers more storage options and features and is ads-free. This Cool Tool could become your favourite piece of software, especially for presenters, lecturers, teachers and students who want to display their personal device’s screen via a beamer or interactive whiteboard, or remote control any computer or Mac over the internet within seconds. For this you use Teamviewer, a tool used by 200 million people apparently, so this may not be all that new to you. You don’t even have to download the software – yet I do recommend this, as it makes the process a great deal easier. 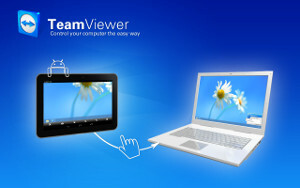 Teamviewer can also be used for online meetings, although for this more professional purpose the premium version should be purchased, the free version is only for individual users. In 4 modules it gives a general introduction to the use of tablets in schools and discusses how tablets can support new learning approaches such as collaborative learning or the flipped classroom. In 4 modules the course addresses the question of why teaching computing to young children is increasingly important as well as what areas of computing to focus on. It then introduces some innovative methods of teaching computing as well as tools and resources that can help teachers engage students in the subject. The course will examine the opportunities but also challenges offered by integrating games into our teaching and learning and will provide practical examples of gaming tools and activities to use in your daily teaching practice. Or go to the European Schoolnet site for all information on courses, conferences, reports and lots more on 21st century education. European Schoolnet is a network of 31 European Ministries of Education, based in Brussels, and aims to bring innovation in teaching and learning to schools, teachers and other interested parties. Unfortunately Germany does not participate in this network, but that doesn’t mean German teachers are not welcome to benefit from it. Study Ladder is a free learning environment built by teachers, for schools (pre-school to year 7) that offers more than 10.000 interactive resources, mostly for mathematics, literacy and environmental studies. Based on the (US) Common Core curriculum, teachers find resources for their students to practice, then to set-up classrooms with differentiated groups, fill ‘pods’ with relevant resources, set tasks and keep track of students’ work and progress. Study Ladder looks very useful for extra work in classes that use student computers, laptops or tablets. The student only has to log in with the username and password that the teacher provides him/her with, then works on an individualised set of tasks. The NMS has had its own Study Ladder account for a couple of weeks now, so why not try it out, teachers? For the longest time I never used Twitter. What on earth for? My first tweet was something along the lines of ‘trying to figure out whether I should look into Twitter.’ It only started to make sense during a educational conference where I became actively involved in the on-stage discussions through commenting via a ‘backchannel’; hashtagged tweets, which showed up on the screen behind the speakers. I started following some of the speakers and the commenters and soon built up a rather useful personal learning network, using hashtags such as #edtech and #edchat, or last week #Didacta2015. 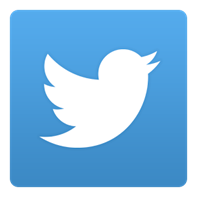 It does make sense for educators to be on Twitter; it is free and possibly one of the most useful tools once you get into it. For German educators or educators in Germany there is the weekly @edchatDE, which has interesting topics such as ‘tablets in school’ or ‘Inklusion’; every Tuesday evening at 9 pm. Notability is not free, but there is a reason why this app has for a long time been the no. 1 best-sold app on the App Store. This note-taking app is suitable for mobile devices and desktops. It supports text, images and audio recordings and contains a sketch pad with which to draw new images and annotate existing images, web art and clip art that you import. Could be just the app you have been looking for, then again there are some free tools (with fewer features) available via the Web or app as well. Scoopit is a content curation platform to promote content. Scoopit advertise with 'discover, curate and publish great content to get visibility online'. It is a bit like Flipboard, a former Cool Tool, but seems better suited in case you want to share your content. It is free for your personal use, linking it to a maximum of two social networks and 10 posts a day – sounds sufficient for most busy people around here :-). Audacity is a free tool available for Windows, Mac, Linux and other operating systems. It is open source software for recording and editing sounds and comes with cool features and tools to edit audio files and add effects. The software is user-friendly because of its rather intuitive interface and cool features. Tuesday, 10 February 2015 was Safer Internet Day. Our school supports the initiative and encourages its staff members and parents to take up the issues of online safety with their students and children. Raising responsible digital citizens is not done by blocking apps, or solely relying on firewalls that filter out the useful together with the useless stuff. When our children start riding their bikes, we can't simply take away the speeding cars – instead we point out the dangers and teach our kids to deal with them as best we can. Internet safety is not about randomly collecting mobile phones and tablets at the school door – as much as we do not collect their sweets. A mobile-free zone or period may on the other hand heighten the awareness of students' own mobile use. It is not about restricting the world of our sons and daughters and students, but rather about opening the world and explaining it to them. We teach online responsibility, about the wealth and pitfalls of the World Wide Web. Students need to learn how to stand up for themselves and others, online and offline; how to behave, how to say no, how to play and learn and work with the Internet. find a coding club and join it together – or download Scratch and create your own games and animations. 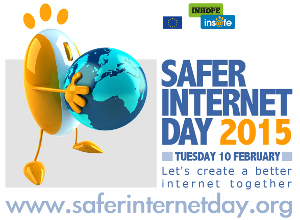 More resources: http://www.saferinternetday.org, in particular see the resources for schools under SID Gallery. Storify advertises for itself with the slogan: 'make the web tell your story'. This cool tool is excellent for classrooms, for instance history lessons, but will benefit everyone who ever has to tell a story and wants to do this in a visual and enticing manner. Don't we all? Sign up for a free account and search through multiple social networks from one place, then drag individual elements into stories. You can re-order the elements and also add text to help give context to your story. Powtoon is online presentation software that allows you to create animated video explainers. Engaging your students is not always easy, even though we try hard at NMS. PowToon claims to generate excitement and motivation in any classroom – so why not try it out now? At least you'll have fun creating your lessons :-) Also a good one for the flipped classroom. Socrative says it “lets teachers engage and assess their students with educational activities on tablets, laptops and smartphones. Through the use of real time questioning, instant result aggregation and visualization, teachers can gauge the whole class’ current level of understanding. Socrative saves teachers time so the class can further collaborate, discuss, extend and grow as a community of learners.” Sounds good and actually, it is good. I tried it out at a workshop by European Schoolnet and yes, it is useful, fun and free; great cool tool therefore! Not free this one, but when you enjoy creating your own lessons or adapt online resources for learning and teaching, using your iPhone or iPad, then Explain Everything is just right for you, for a small price. In their own words it is an easy-to-use design, screencasting, and interactive whiteboard tool that lets you annotate, animate, narrate, import, and export almost anything to and from almost anywhere. You'll find it on the app store for €2,99 and I think it's worth it. More info on the website! I really like this one; finally one place to send all links and articles to for later referral. I'm sure the free Flipboard app will soon become your favourite go-to app to check out, collect and share all the news that is relevant to you. Enter your topics of interest and Flipboard will search and organise the latest updates on your topics of choice, in a beautifully designed app. Flip through it like a glossy magazine and store interesting articles for later reading, with the flick of your finger. Did you take part in the Hour of Code? Even though Coding Week may be over, all tutorials, games and programmes are always available on www.code.org. This month we will feature some more specific coding tools. Coding (or 'programming' ) has become part of everyday life. Even your coffee machine could be programmed to wake you up at 6.45 with a fresh Latte Machiatto. An NMS Coder Dojo is hopefully coming our way soon, but why not try your hand at coding at home as well? Or at school? Scratch is one of those programmes that can be downloaded for free and provides players with a basic understanding of what coding is. Designed by MIT students and aimed at children ages 8 to 16, this easy-to-use programming language lets you build almost anything you like. You mix and match together Scratch elements, like digital Legos. From December 8-14 it is coding week. 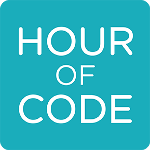 Join in and try an 'Hour of Code' at home or in your classroom, both in primary and secondary school. The Hour of Code allows anyone to try out coding for the first time in a fun and easy manner. It teaches the basics of computer programming in one hour. When you take a moment to think about the importance of coding in our daily and professional lives, a mere sixty minutes to get acquainted with its basics is nothing. For Primary there is Code Studio, which enables students to learn the basic concepts of computer science as early as kindergarten. More information for primary teachers can be found here. The tutorials and games are available in 34 languages so… avanti! Then share it with anyone via email, Twitter, Facebook, your blog or your website. Fotobabble's free mobile application lets you create and share Talking Photos directly from your iPhone. Have fun! Ever wanted your own personal research assistant? Zotero [zoh-TAIR-oh] is a free, easy-to-use tool to help you collect, organise, cite, and share your research sources. It claims to be the only research tool that automatically senses content in your web browser, allowing you to add it to your personal library with a single click. Whether you're searching a news story from the Guardian or Spiegel Online, Zotero organises your resources where you need them to be. I am including the occasional paid app in this list of cool tools, only when they are really worth sharing. Easy Portfolio is one of those. For the price of a milkshake, Easy Portfolio is the easiest and most powerful way for teachers to create an electronic ePortfolio of their students’ work. With one touch you can easily add records such as photos, videos, audio, documents, URLs and Notes and share them via email or Dropbox. Easy Portfolio is a paperless and fast way to keep track of students’ progress throughout the year(s). A free alternative is Open School ePortfolio – this one is slightly more complicated to learn, but also allows you to build student profiles, including goals and separate areas for teacher-directed and student-directed work. Tags can be added to work to make entries searchable. Polling has just entered the 21st century. There are numerous online voting tools, but Tricider has to be one of the most powerful ones – for crowdsourcing or use in an educational setting. When a group of people have a decision to make between several options, Tricider is an excellent choice: free and very easy to use. Simply enter a question, such as ‘where shall we go on our class-trip’ and share the URL, so that everyone involved can enter suggestions. After the brainstorm phase, all participants vote for a suggestion – and provide feedback. A powerful and fun tool for collaboration in classrooms and boardrooms, Tricider can also be easily embedded in a blog in order to receive direct feedback from readers. Popplet is a mindmapping tool that allows users to create a mindmap about any topic collaboratively, by drawing, writing or adding videos or images. It looks so good! Anyone with a free registration can work together. This is a very nice tool for teaching (but also in the office!) that can be used effectively with an interactive whiteboard, or with an iPad. This Learner Designer is still in its early stages, but the beta design is already doing all it is supposed to do; making teachers’ lesson planning a great deal easier. This designer will help subject teachers to see how a particular pedagogical approach works best across different topics. Use a sample design or create your own, not only to plan but also to get a direct and visual overview of the expected outcomes, from reading and listening to production and reflection. An old favourite, which comes with new features. Once you download your free version of Jing, you'll see this tiny rising yellow 'sun' attach itself to the top of your screen. That way you are only one very convenient button click away from a screen shot, which is like a photo of your screen. Jing allows you to annotate that image, so you can highlight, underline or write on it, then easily share or save it. Jing now even has the option to record whatever you do on screen, which makes it a cool tool to create basic tutorials as well. It seems the summer break was months ago! Still, we are looking forward to new projects and trying out new creative approaches, but not to the inevitable paperwork; teachers know how time-consuming (and yes – boring) that daily class administration can be. There is a free app that will help out, available for IOS and Windows 8. Teacherkit is a classroom management tool that organises classes and students' grades and behaviour, from lower primary to upper secondary. Log students’ attendance, add behaviour notes for students and record students’ grades. New teacher teaching in eight different classes? Take pictures and add those to your students' names. Also re-create the seating plan in your Teacherkit and connect it to the student profiles. Primary teachers working with younger kids may also want to check out former Cool Tool ClassDojo, a similar classroom tool that can easily be shared with and used by the students. A favourite tool, that we try to use at least once a year with our Flexies. Brainshark allows you to put a voice over presentations, for instance to add a commentary to a photo log or an account of a classtrip, or to tell a 'visual' story. Easy to use and free, as practically all 'cool tools'. Create word clouds in no-time. Have a lot of text and want to distill the most important information? A word cloud is a visually very attractive way to do this. Simply copy and paste (or type) the relevant text in a Wordle window, choose a rounded or square font, decide on a colour pattern or stick to graphic black & white, and you've got your beautiful word cloud, ready to be copied and pasted into your Word doc or presentation. Cartoons and comic characters are easy to create, on the Bitstrips website or ousing its free app. Spice up a language lesson and ask your students to create a Spanish or French comic. Create historical characters and re-enact the French revolution or the balcony scene from Shakespeare’s Romeo and Juliet. Or use Bitstrips purely for fun and turn yourself and your friends (or your teacher) into comic characters, create greeting cards, or your own avatar. Bitstrips can easily be shared on Facebook, Twitter, Tumblr, Email and SMS, or on a student blog like Kidblog. Want to conduct a quick poll in the classroom, among friends, or at work? Such as: “Who do you think will win the World Cup?” Setting it up only takes 30 seconds, according to the makers. You don’t have to sign up. Ask your questions. Collect answers via mobile phones, Twitter or web browsers and show the results live on the web or in a presentation. Engage your audience or class anywhere in real time. Remember, if your audience has no smartphones at their disposal or you’re not in a PC room, you can always use the Plickers system to conduct a live poll (an earlier Cool Tool), simply with papers and your own smartphone or tablet. You would have to prepare that one, whereas Poll Everywhere can be done at the spur of the moment. Kidblog is a free platform for all, especially interesting as it allows teachers to create a class account. After the easy and free registration process, all students then set up their individual accounts by simply typing in their name and a personal passwords: a matter of twenty minutes. This year all 7th graders have created blogs on Kidblog and used them to publish the work that they have done during Digital Skills lessons. Kidblog is a safe and userfriendly environment, with those blogs only accessible to the teacher and classmates. Writing for an audience is a powerful incentive, with constructive commenting also a skill to be learned. What better place to do this than the classroom? Teachers looking for a good blogging platform to share info with their students and parents, could check out www.Wordpress.org. Wordpress is free, easy to set up and share. Fed up with Excel tables and charts? Wondering how to get kids excited about bargraphs? With your free account from ChartGizmo it's easy and fun to create cool charts for your website, blog or social network profiles. Think of the easy applications for the classroom: Chart Gizmo allows you to create bars and line graphs, pie charts and other types of charts and graphs for summarizing your data, that you can enter manually or import straight from Excel. Then publish those charts, for instance on a blog (such as Kidblog, next week’s Cool Tool) or save it as an image file to insert directly into documents. A security tool this week, especially for parents who are concerned that their kids may end up with viruses on their (or your!) computer. Regular anti-virus software will go a long way, but to make sure your pc or network remains free of malware and spyware, you may want to download Spybot Search and Destroy, via www.safer-networking.org/dl/. They track down any potential dangers and get rid of them, therefore run them regularly. Easy to use and free. One Cool Tool that is not free for a change – but worth every penny! Text Grabber is a very useful tool; simply take a picture of any piece of text, be it a letter, book page, an address or a newspaper article, crop it to the exact text you need and scan it. You'll be left with a text version of that clip, to be changed, corrected, extended or ... translated, as this app also includes a decent translation app. There must be tons of applications for learning – and if teachers won't use it, their students will! How about digital classroom voting with nothing more than papers and only one mobile device? Plickers is a polling system for classrooms that requires little more than a webcam. It's simple and effective – and cheap. Using Plickers, you only have to print out those codes, ask the students (or whoever your audience is) to vote with them, scan the results with a webcam and visualise them on an interactive whiteboard. Even simpler than it sounds, really…! Simply to have fun – and why not use comics in the classroom? Engage your students! Ask them to turn Hamlet into a comic, or to explain the Cold War in pictures. Pixton allows you to collaborate with others and even add your own pictures (photos). Absolutely one very cool tool. Create a personal account for free, or pay a small fee for a school account. Have fun! Presentations will never be the same. You think Prezi is nice… then check out www.emaze.com. It is a wonderful free tool that allows you to create truly ‘emazing’ presentations. In their own words: “Emaze is the next generation of online presentations, empowering you to create an amazing impression through design and technology. All you need to do is choose one of our templates to begin creating an amazing presentation. because there is no second chance to make a first impression.” Sounds slick, I have to admit – then again; it really is an amazingly Cool Tool. Lingua.ly is an app that turns the internet into an extensive language learning tool. The idea behind it is very interesting and appealing, using the web to create your own personal language learning experience. 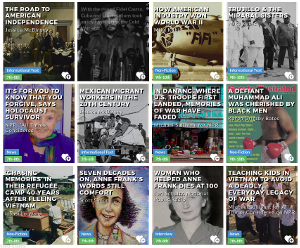 Discover real content that is just right for you – or if you are a teacher, for your students! Lingua.ly is a fairly new tool and I am curious to see if it does what it promises. As practically all cool tools we collect on the NMS site, also this one is for free. Send me your feedback, whether you like it – or not :-). I got to know this app through my daughter, who was introduced to it by her English teacher, Mrs Dent. Rather than a course or curriculum content, Quizlet is a study tool. A student or teacher defines what they need to learn or teach and Quizlet provides the tools, such as games, flash cards and – of course – quizzes. Quizlet claims to help history majors study paintings, Spanish students learn their verbs, and seventh graders learn biology. They seem to have created almost 40 million study sets on practically any topic you can think of. It is fun, engaging and extremely easy and intuitive to use. Homework will never be the same. I’d like to call on all teachers to try out ClassDojo; it fun and it will make your life so much easier. Besides the clever points system, kids really like their little monster avatars, not just in primary; even 7th graders are fond of them! ClassDojo is a classroom tool that captures and generates data about the students in your classroom. You can adjust it to your needs, even change the language – therefore ClassDojo can also easily be used in German, Spanish or French classes. It helps me to keep track of pupils’ progress and absences at the secondary school, whereas our ‘Flexies’ use it via the interactive whiteboard to reflect on their own learning progress and behaviour. You can keep track of your students’ progress or easily provide them with instant feedback by giving points for behaviour in real-time, (‘+1 for teamwork’). Get it via www.classdojo.com and/or use the free app for your smartphone. It surely has not escaped your attention that, after Instagram, now also WhatsApp has been taken over by Facebook. In case you are not keen on Facebook having access to your contacts, you may want to switch to another instant messaging app. Good substitutes are Threema (€ 1.79) and Telegram (free), both for Android and iPhone. According to the makers, Telegram is superfast, simple and free. You can create group chats with up to 200 (in case you feel like chatting with a couple of hundred people). You can also share videos up to 1GB and send multiple photos from the web. As all the messages are in the cloud, you can access them anywhere, any time and from any device that you log in to with Telegram. If this is exactly the reason why you are worried about using messaging apps, Telegram came up with a true James Bond feature called Secret Chats. It has end-to-end encryption so that a message can only be read by the person it is intended for. Telegram claims that nothing from the Secret Chat is logged on their servers – but will we ever know for sure? Best part: you can automatically programme the messages to self-destruct from both devices so there is never any record of it. 007, eat your heart out! Not all good online things come for free, but sometimes a small fee is really worth it. Take for instance the Times Education Supplement. On www.tes.co.uk you will find teaching resources for all subjects, blogs and educational news – for free. Upgrade to a TES Pro account (for a relatively small annual fee) in order to store and access your resources in the cloud and to receive the digital TES magazine. 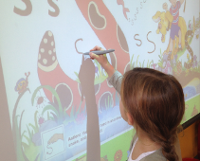 Or find great resources for interactive whiteboards in the special TES iboard section, under www.iboard.co.uk. Do you use both Android and Apple devices? Wonder how to get your photos and videos from your iPhone or iPad to your PC or vice versa? It used to present me with a massive headache, until I found a great app called Wireless Transfer App. Simply download it for free from the Appstore or Google Play. There may be lots more, but I this one – simply works fast and smoothly. This is not so much a cool tool, but rather a cool website: http://sheppardsoftware.com. It combines hundreds of free, online, educational games for kids. Upper primary pupils have been using it successfully to practice for tests, especially for geography. Subjects range from science and geography to mathematics and biology. Learning the interactive way has more impact, so next time your son or daughter tells you (s)he has to know all of Europe's countries plus capitals by heart – by the end of the week – don't despair. Just refer your offspring or pupils to Sheppard Software – or even better, play a game together, and test your geography knowledge. Free, no account needed. It is Safer Internet Day on Tuesday, February 11th, which also happens to be our Madiba Day. This week, why not ask your children or pupils to apply for their digital passport? Devised for grade 3-5, www.digitalpassport.org is a free service, endorsed by Common Sense. It allows kids to learn, play and test their critical skills related to digital safety, respect, and community. All you need to do is create a free account. Actually, adults should get their digital passport as well: you never know what tips you may still pick up! A website for teachers this time; great ideas, innovative thinkers and inspiring videos can be found on http://ed.ted.com. You will find lessons on a wide variety of subjects. Simply search for your topic and find a wealth of visual information. 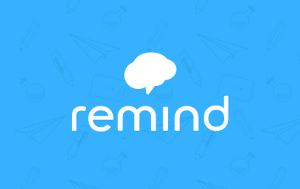 Use, tweak or completely redo lessons from scratch, based on any video from YouTube. Why not flip your classroom while you’re at it? Powerpoint can be very powerful when presentations are made in an enticing and smart way. But why not try something different with Prezi? www.prezi.com will add motion and depth to your presentation. Work online or offline, together of with others, at home or in school. Try it out; you’ll find it a lot easier to use than you may think at first – or ask your students or children to show it to you! Online creation and storage on Prezi is free. You can upgrade your account if you wish to work and save your Prezis offline. Remember Surveymonkey from last week? Why not put all those results into one smart infographic? Now https://piktochart.com gives you that possibility. The free account gives you a limited but still interesting choice of templates to choose from – or simply start an empty canvas and use your imagination. You end up with an image that can be pasted into a presentation or printed as a small poster. Very nice! Want to know how your students rate the latest project or what they had for breakfast? Need to find out how your friends or colleagues feel about a certain topic? Create a free account at www.surveymonkey.com and start your first online survey in no-time. Your respondents simply go to the link you provide them with, and fill out their answers online. You will collect all feedback plus an automatic summary and evaluation into your account. I love this one for lower primary; use it in the computer lab with your pupils, or at home with your kids. www.teachyourmonstertoread.com has been nominated for a BAFTA award, and rightly so. My Flexies love this world full of adorable monsters, and don’t even realise that they are actually practicing their reading skills. Teachers can create a class-account and even print the little cards with usernames and passwords, so that the kids can continue at home – if that’s ok with mum and dad. Of course – this cool tool is also free. Need an easy platform for an online discussion or brainstorm? You don’t even have to sign up for a free account for www.padlet.com. Simply go to the website, create a wall on which people can post their thoughts and share the link with everyone who needs to join in. If the information on the wall is sensitive, protect it with a password. Starting a (free) account might be useful though; it allows you to create personalised wall-links, and to save all your walls in one place. Do you want to have all your notes, thoughts, links, resources and tools in one place – and have this ‘notebook in the cloud’ synced across all the devices you use? This is the answer. For free of course – a premium account is useful if you wish to store ‘heavy’ data such as videos or large amounts of images. Listen to these spoken articles being dictated in the language and at the level of your choice. The sentences will be repeated until the students have written them down correctly. This dictation tool brings back the fun in spelling quizzes. Tip: many free websites such as this one will ask you to sign up with your email address. Many people create a separate email account (via Hotmail or Gmail for instance) for this purpose. Simply create an on-line document and share the link with whoever needs to work on the document with you, and work together in real-time. Great for students, teachers, parents… everyone. This is a favourite cool tool for school, home or workplace. It is free and it does not require you to register! Great for a couple of fun and fuss-free lessons in the computer lab or to spice up presentations with home-made pictures, or … just for fun. A wonderful site where young and older kids will simply want to write their own stories to the beautiful illustrations provided, whether they write in English, German, Spanish or French. A wide selection of images make every story, no matter how short, read like a real book. Teachers can start a class account, parents can enjoy the stories on-line (or write your own!) – all for free.